She is as classy as she is deliberate and she is sold. A smooth proud prow STEPHENS CLASSIC CRUISER. 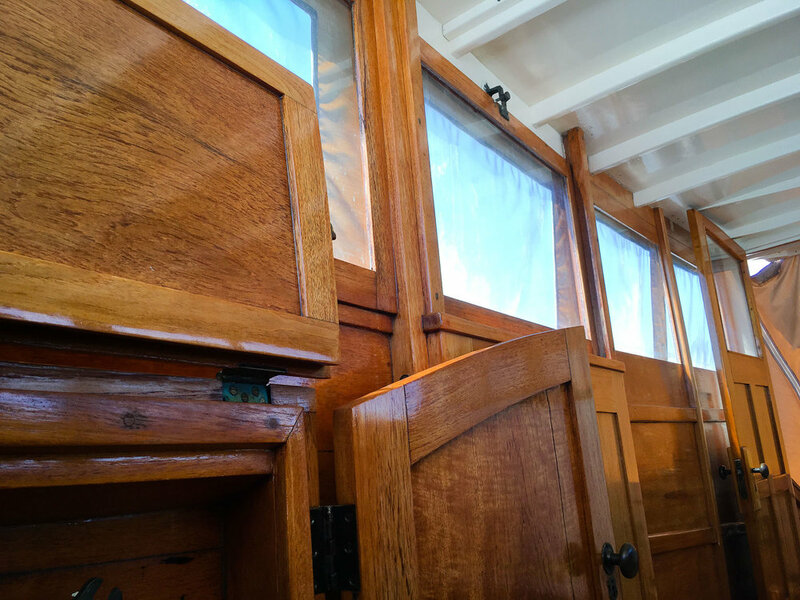 Painted topsides with elegant teak cabin sides carefully maintained. SKAL is a fine example of how well we did certain things in the 20's. She is like stepping into a different time where life was to be lived grandly and to motor along with a fine view of the world, to take in the shallows of the delta, to fish and to swim and to travel in style. 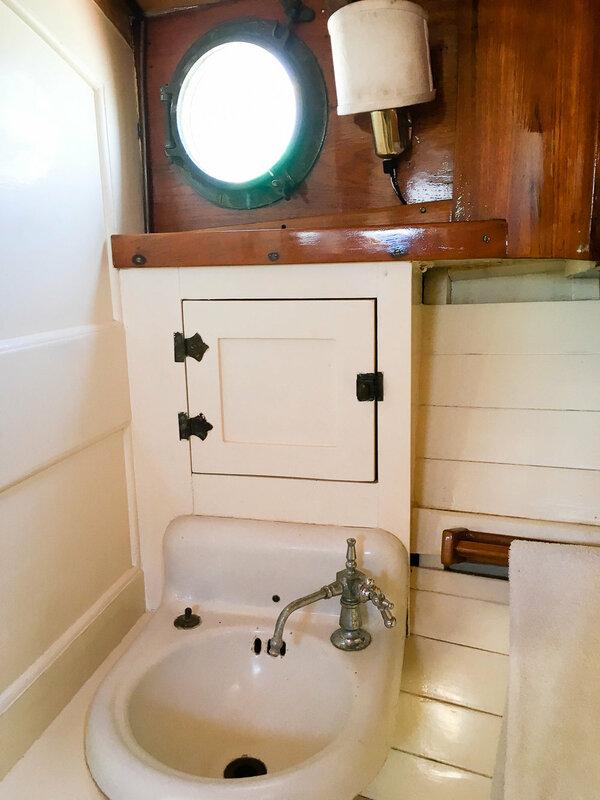 Her interior with its fine cabin details and exquisite galley reminds us that small intimate living is to be relished. A gypsy wood burning stove warms the cold and weary up in a minute and is a blessing to cook over as well. 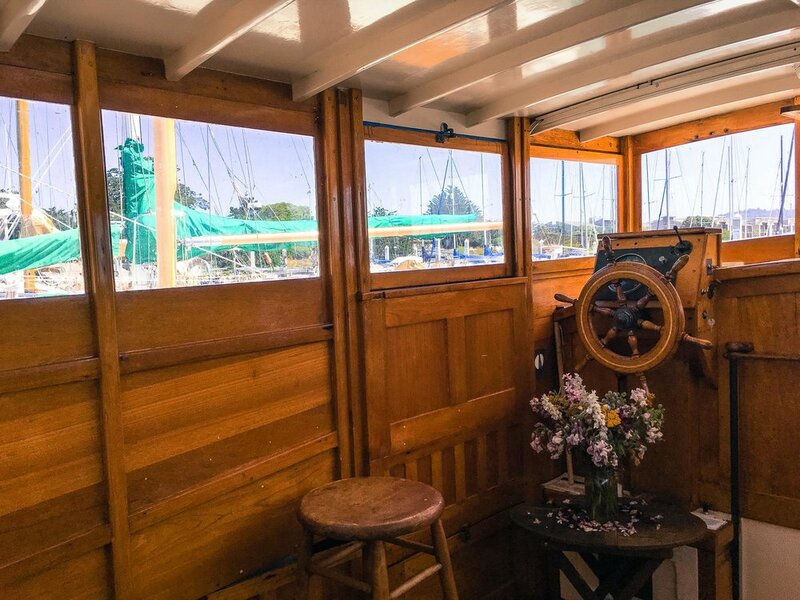 Built 1 of 6 of that year: only a handful left, she served as an example for the Stephens of what a fine motor yacht could be before living out her days in The San Francisco Bay and on the Napa River. In the 70's she was glassed over below and then extensively fiberglassed by the Napa Valley Marina in 2008-2011 as part of a complete re-build with bronze re-fastenings and new beams and structure in her stern. This included new head, holding tank, new electrical, batteries, new diesel tank for a brand new re-power with a Yanmar Turbo diesel [barely 50 running hours on it!] 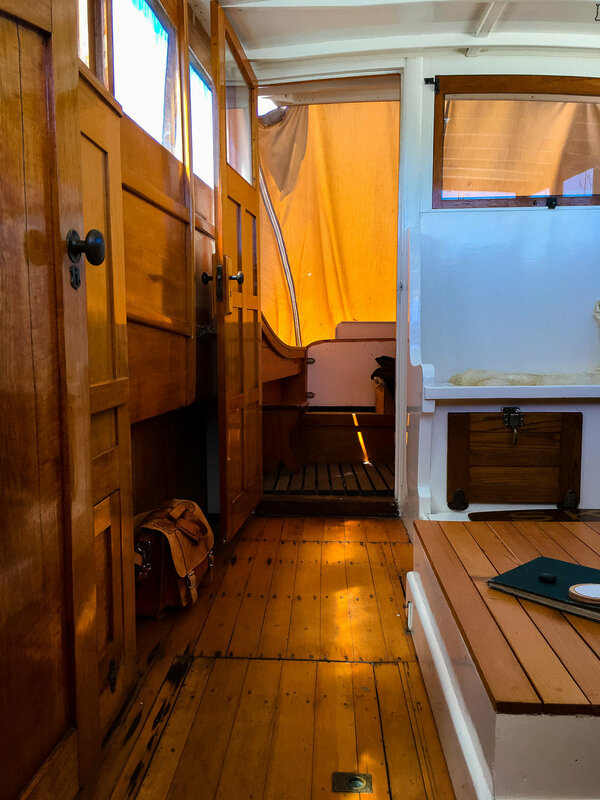 Then in 2015, she had a new fiberglassed roof with some cedar er-planking of her forward cabin. She has been lovingly cared for and lived in for the past seven years and passed on to a new grateful owner. She is a gem for all that encounter her. "SKAL has a good layout and classic finishes." 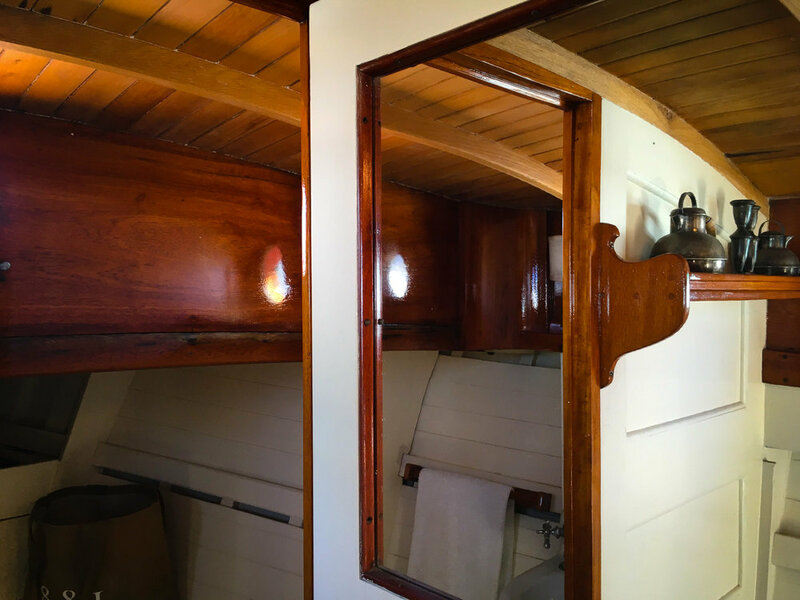 Construction Scantling: Traditional carvel planking, 3/4 "Port Oxford cedar over steam-bent frames; original frames 1¾" x ½"
Rudder: Bronze skeg mounted plate. 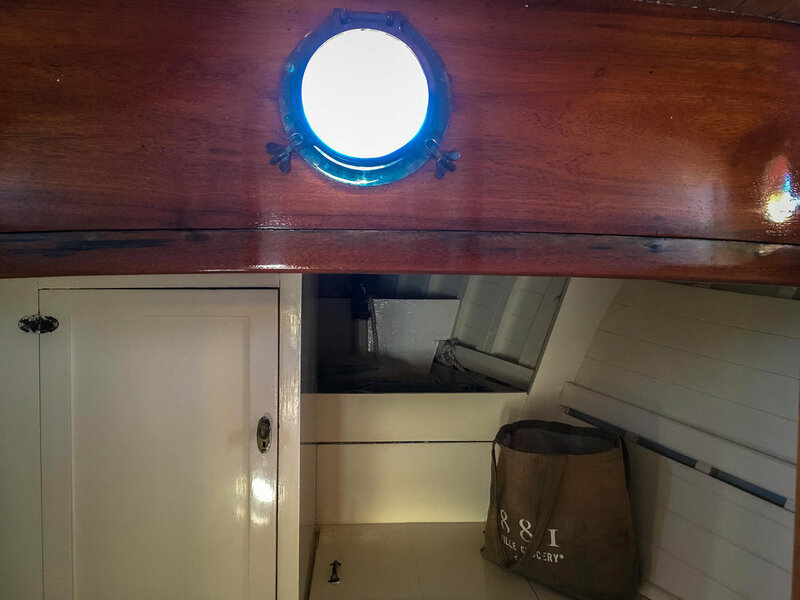 "The decks and superstructure are in overall good condition." Engine: YANMAR Diesel 4-cycle: turbo-charged. Fuel Tank: 40 gallons under cockpit sole. Raw Water Strainers: Groco ARG-1000 bronze strainer-engine inlet. "The engine is fairly recent and installed in 2010 to good standards. Engine is clean, engine access is excellent." Steering Gear: Steel cables to quadrant. Anchor: Northhill 12-R folding anchor w/ 1/2" 3 strand nylon. Additional anchor: West Marine 13#Fluke type w/ 1/4 " chain x 25' and 1/2" 3 strand Nylon rode. Refrigeration: 2 GE under pilot house. "Systems are simple and well installed." Batteries/Amps: (2) GEL-TEC/12v group 27 gel cell, sealed. Vapor proof switch: Blue Sea. All new LED exterior in old features-nice. "The whole installation has been overhauled to good standards." Currently moored near the Carquinez. Everyone's dream floating piece of paradise is the fair SKAL.